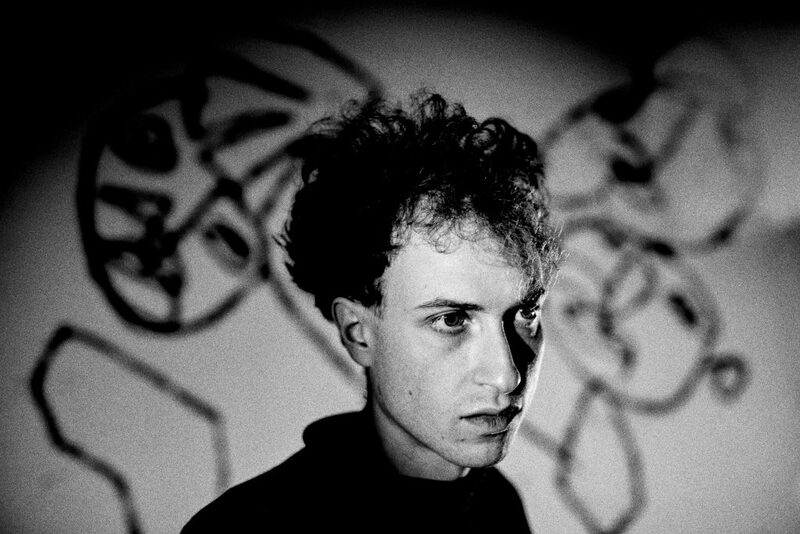 Daniel Blumberg is an artist and musician from London. Over the past decade he has released an extensive catalogue of music under different names, while forging ongoing collaborations with musicians, writers and filmmakers such as Neil Hagerty, David Toop and Brady Corbet. He is a prolific visual artist, described by Hans Ulrich Obrist as “one of London’s most exciting emerging new artists”. Most recently Blumberg has been playing and recording at London’s Cafe Oto, working intensively with a core group of improvisers consisting of violinist Billy Steiger, saxophonist Seymour Wright, double bassist Tom Wheatley and cellist Ute Kanngiesser. These regular sessions have culminated in the release of his debut record Minus on Mute Records (May 2018), accompanied by a companion LP of solos by the key players on the record including Dirty Three’s Jim White. Alongside this OTORoku have released a live recording of the group and two discs by GUO, Blumberg’s duo with Seymour Wright. Minus is a powerful and highly personal work, one that weds a free-music ethos to the rawest emotional songwriting. Live the material is radically reimagined from show to show, with a rotating cast of players pushing Blumberg’s fragile songforms to their limits.